My family adores Bruce Springsteen. It’s been ingrained in our personalities since birth that Springsteen is the man. I was listening to The Boss on the way into work the other and had the funny idea to make Springsteen Valentines. You see, Bruce is pretty much the only person who can get away with telling a woman that they are just OK looking, but he loves them anyway. Any other man would get slapped for a comment like that, yet women still swoon over Bruce. I’m positive there are more examples, but none come to mind just yet. Anyway, here’s the simple card I made for my Springsteen-loving family members — I’d never give them to anyone else because they would be so offended. 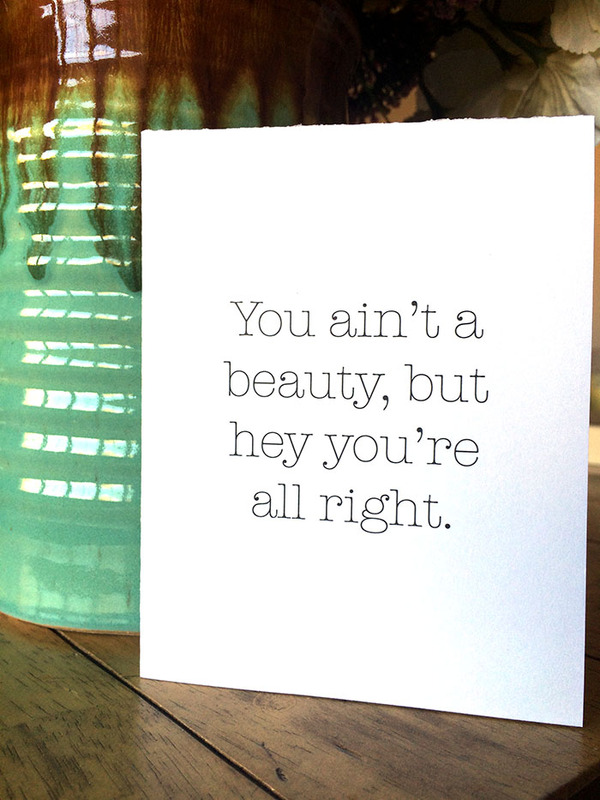 But if you love The Boss, you’d love to get these valentines. 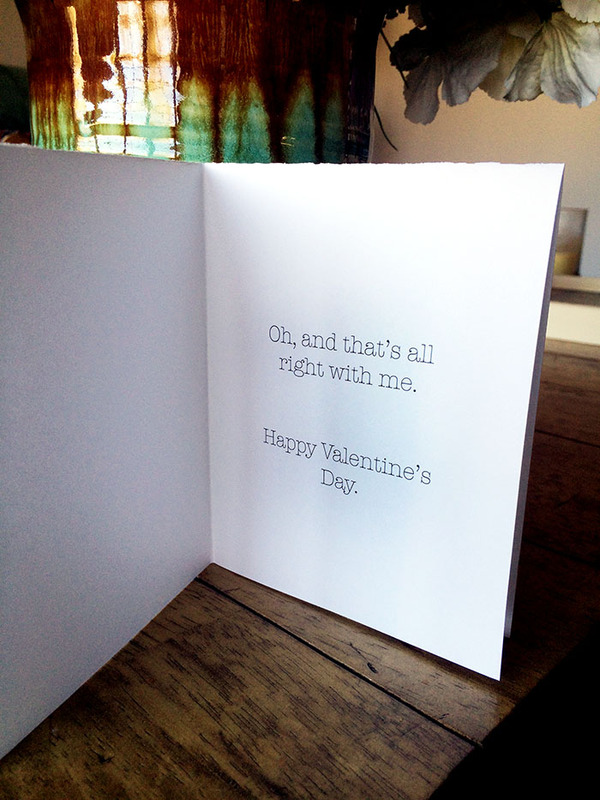 Hope you all had a great Valentine’s Day. B made a yummy breakfast and bought me some beautiful flowers. Then we got our favorite pizza for dinner and watched The Interview. 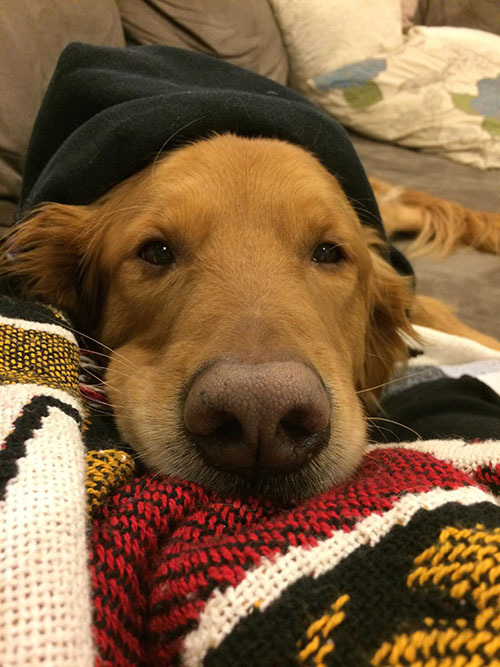 In other news, Brian was concerned Remmy was cold since it is all of 9 degrees in Maryland. 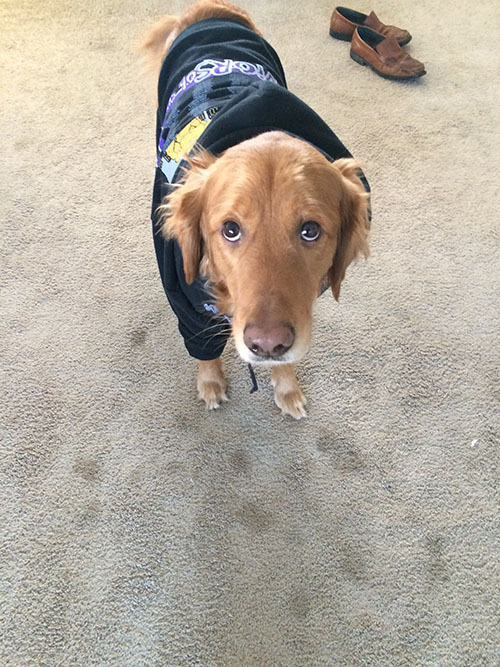 So I gave Remmy and old hoodie, which was simultaneously the most adorable and hilarious thing ever. He wore it all afternoon and slept in it last night. 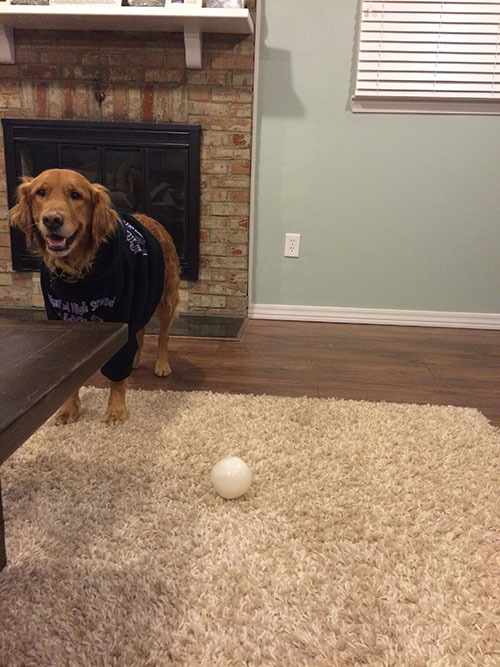 That dog never fails to crack me up. 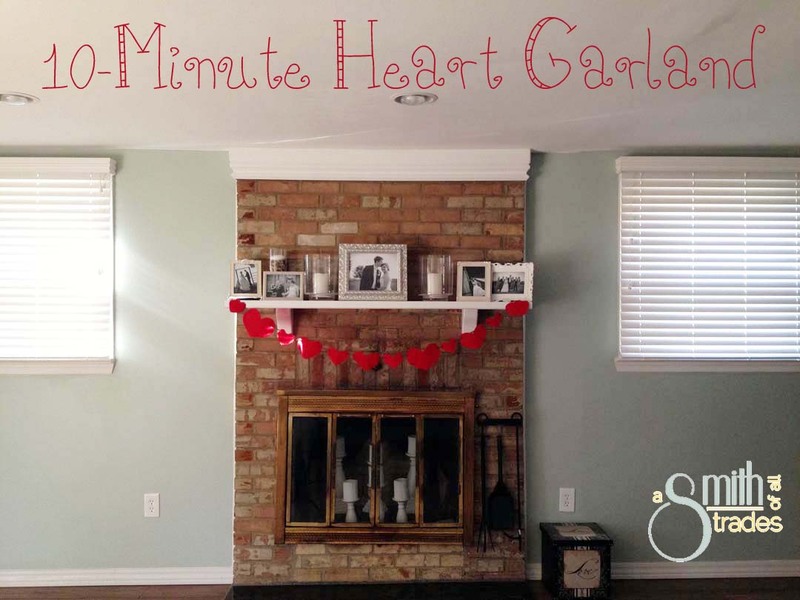 To make your garland, first you need to measure your mantel or wherever else you’d like to hang your decoration. I used yarn for my garland, folding it in half so it was doubled up and a little bit thicker. Cut your yarn and tie loops at each end. 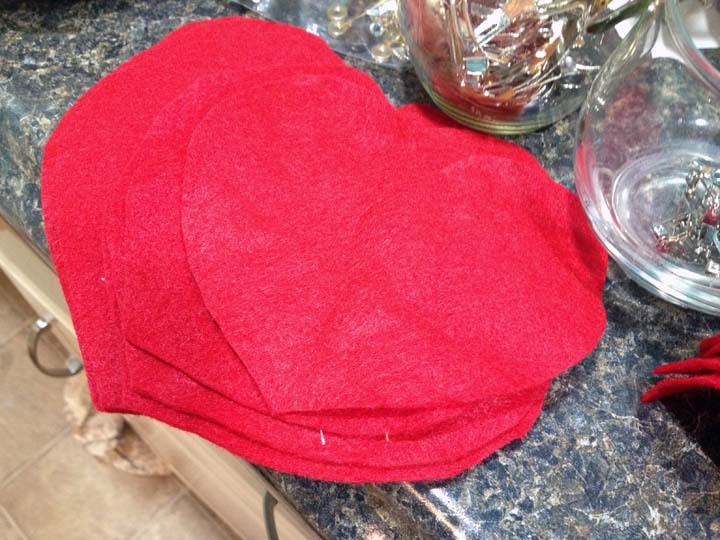 Then, cut out hearts from red felt. 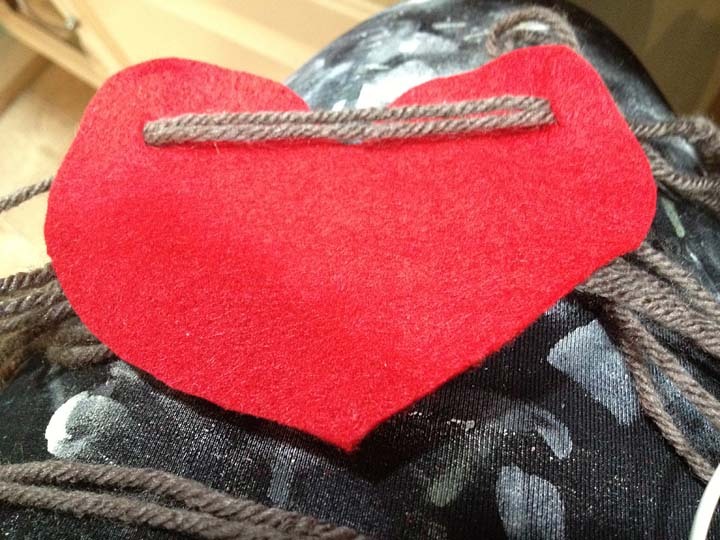 Each heart needs two slits at the top for the yarn to pass through. Start to weave one end of the yarn through the cutout slits of the heart until all of the hearts are threaded. 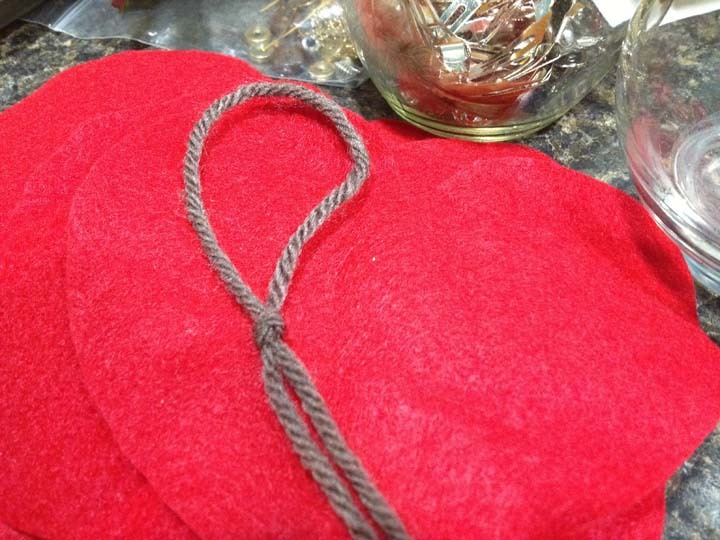 Then spread the hearts along the yarn until they will spread the width of the mantel. Then, you are done! 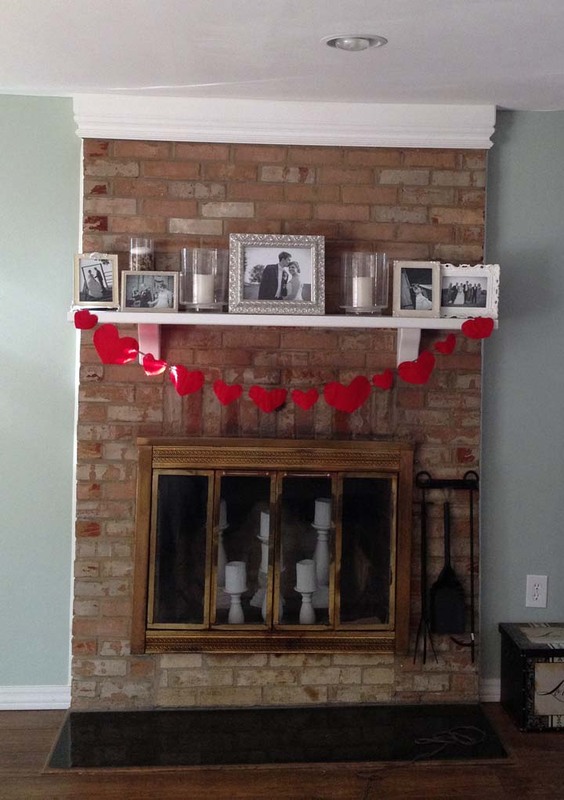 Hang it on the mantel some Valentine’s Day cheer made in less than 10 minutes! 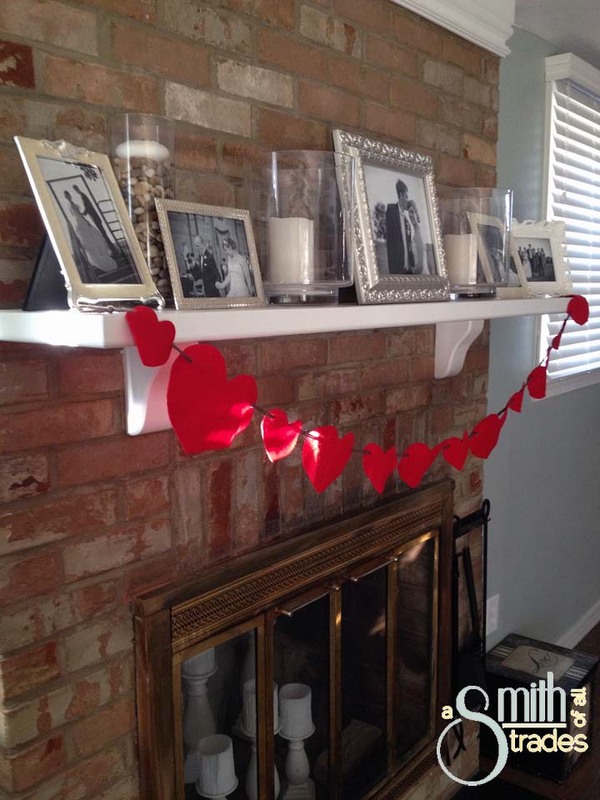 Need an inexpensive, cute Valentine’s Day decoration for the upcoming holiday? Why not make a Valentine’s Day tree!? OK, I know trees are usually just for Christmas, but just follow along with this one because the end result is pretty darn cute. Step 1: Cut your cereal box down to one panel. Step 2: Fold your cereal box panel into a cone shape and tape the heck out of it so it keeps the shape. This becomes the base for your tree. You can’t see the tape through the boa, so feel free to use however much you need. Step 3: Trim the edge of the cone to be flat. 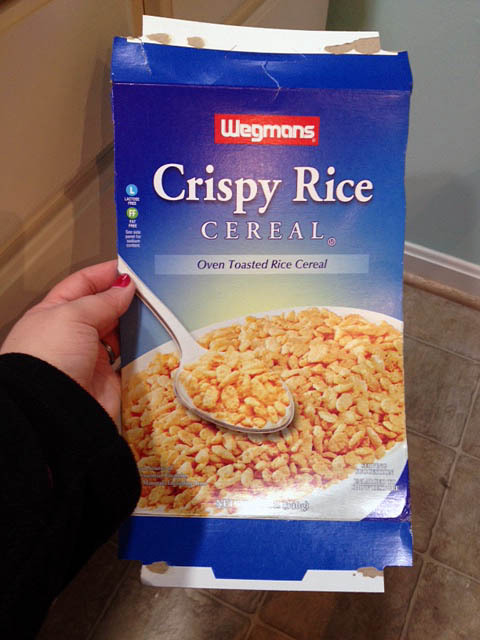 You will have a lot of excess from the cereal box, so it is OK to cut a lot off. Cut it to the size that you would like your tree. I only had one boa, so I made a small tree. If you have additional boas, your tree can be taller. 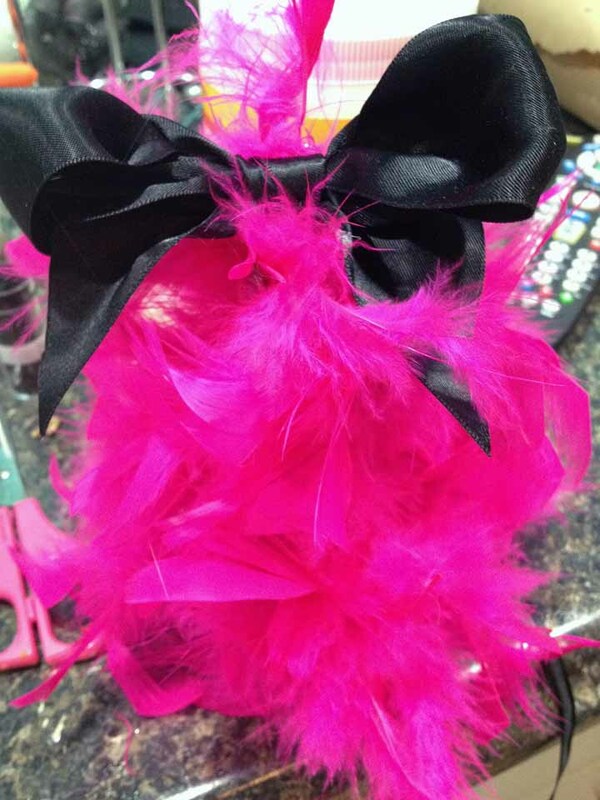 Step 4: Starting at the top of your tree, hot glue your boa to the cardboard. Boas usually have small finger holes at each end that are made of rope. I put this little ring around the top of the tree and glued that on first. 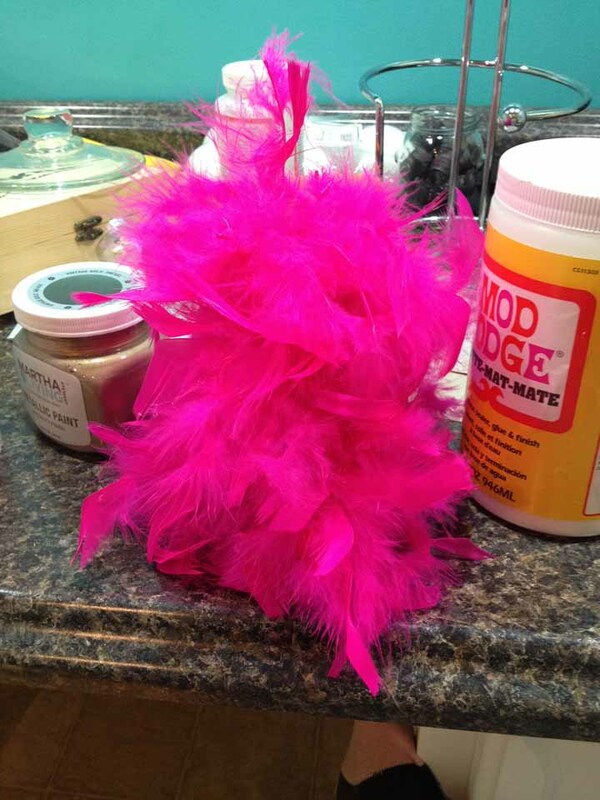 Step 5: Start winding down the tree with hot glue and boa. When you get to the bottom, cut a small slit into the bottom of the cardboard base and place the other knotted finger loop in the slot. Hot glue it in place to secure the boa on the tree. 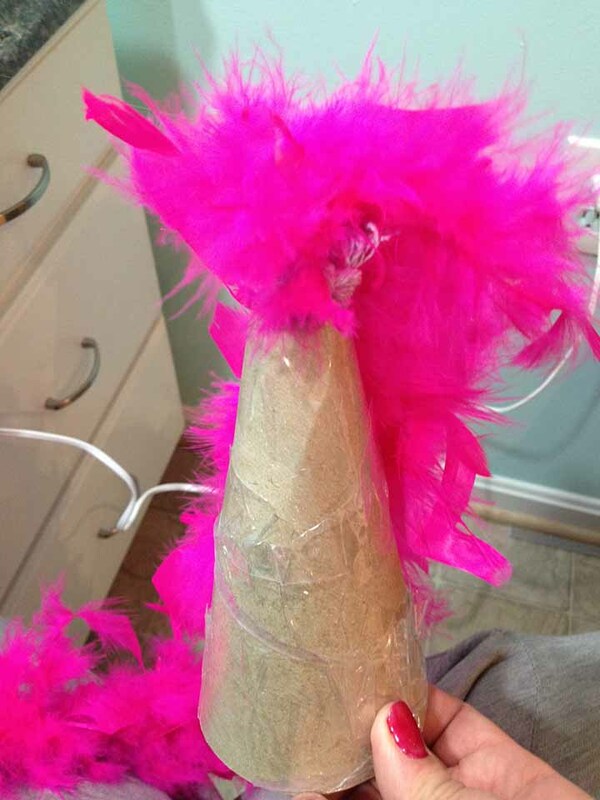 Step 6: I stuffed the base of my cone so it was a little sturdier. 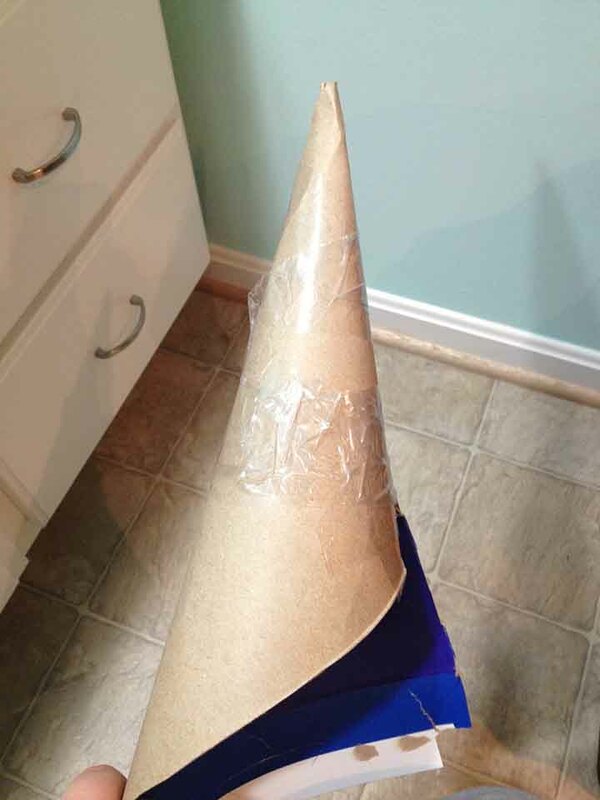 To do so, I spiraled hot glue in the cone and put two crumpled up paper towels in the cone. Step 7: Embellish. I added a silver chain, black ribbon and a black bow to my tree. Step 8: Display in your house for everyone to see. Mine’s on our mantel right now and I love it. 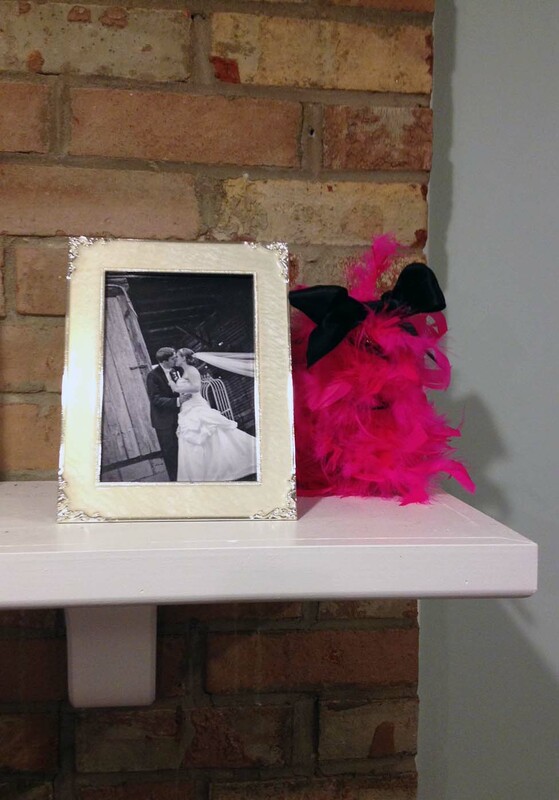 It looks half tree, half little pink monster hiding behind our wedding photos. Come Christmas time next year, I want to make several of these trees using white boas. I’ll probably make them in varying heights. How pretty would that be? Happy friday and have a great weekend! Got any good plans for the holiday weekend? It’ll be visiting with family and lots of football at our house.